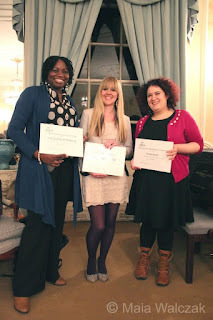 On Writing and Life: I Got Recognised by Women in Publishing! 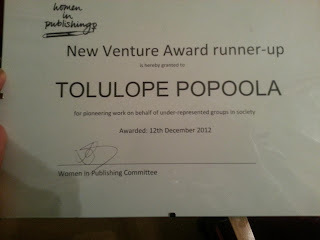 Last week, I got an email, informing me that Accomplish Press (and me, Tolulope Popoola) has been shortlisted for the prestigious Women in Publishing New Venture award! I was so excited, because a friend nominated me, but I didn't even take it seriously. So imagine my surprise when I was invited to the awards ceremony! The award ceremony was held on the 12th of December 2012 at the Women’s University Club in Mayfair, a beautiful and cosy venue with a lot of history, heritage, and lovely art collection. I almost didn't make it because I couldn't arrange childcare at the last minute, but when I called the organiser, she said she didn't mind if I came with my little one. So off I went to the ceremony, baby in tow. It was great though, everyone welcomed her and she got on well with all the guests. One of the speakers, who is also a member of the Women in Publishing Committee suggested I should come and give a talk at their next meeting. The topic? How to Balance Children and Careers! Lovely stuff. After the speeches, the award announcements were made. First for the Pandora Award, which recognises a “woman who has made a significant and sustained contribution to the publishing industry” and this year the runner up was Sam Missingham, The Bookseller’s head of marketing and events and the co-founder of Futurebook. The winner was Marjorie Scardino, the CEO of Pearson, who has been in the role for fifteen years. I'm delighted to be recognised by such a great organisation of inspiring and creative women, and I'm really grateful for the honour. When my name was called, I had to go up to give a speech and collect my award certificate. I was a bit nervous but I managed to get through it with a smile. It’s such a lovely recognition and a great way to round up my first year since I ventured into publishing. Here's to even more achievements, and more exciting things to come in 2013! 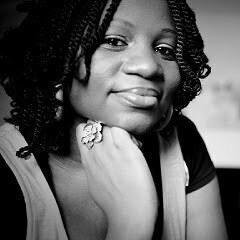 Congrats Tolu, and all the best in 2013! Thanks Myne! Wishing you a blessed 2013 too! Thanks Ibifiri :) I've replied to your email now. Congrats!!! 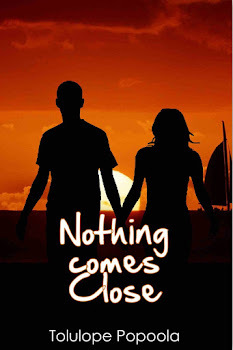 This is just the beginning on greater things to come. 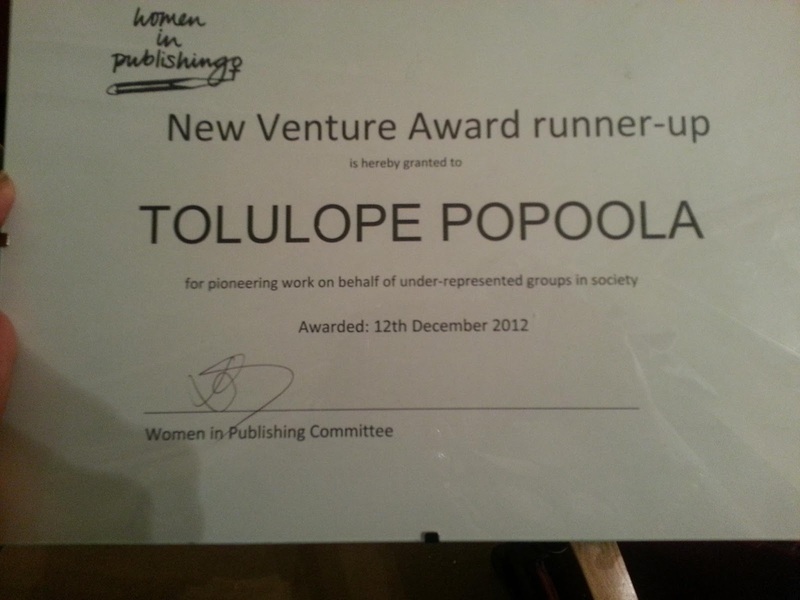 Congrats Tolu. Your best is yet to come-this is only the beginning. Well done.